2- Azedi, F., Kazemnejad, S., Zarnani, A. H., Soleimani, M., Shojaei, A. and Arasteh, S. (2017). Comparative capability of menstrual blood versus bone marrow derived stem cells in neural differentiation. Mol Biol Rep 44(1): 169-182. 3-Azedi, F., Joghataei, M. T., Mousavizadeh, K. and Mehrpour, M. (2017). Novel methods for intra-arterial injection of stem cells to the ischemic brain: A neurosurgical approach. Journal of cerebral blood flow and metabolism p: 330-331. 4-Azedi, F., Joghataie, M. T., Mousavizadeh, K., Zarnani, A. H. and Kazemnejad, S. (2016). 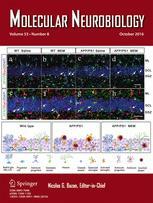 Derivation of functional neural like cells from human menstrual blood stem cells. 3rd Iranian congress on progress in tissue engineering and regenerative medicine. 5-Azedi, F., Joghataie, M. T., Mousavizadeh, K., Zarnani, A. H. and Kazemnejad, S. (2016). Safety and efficacy of intra-arterial delivery of melatonin with menstrual blood stem cells in a rodent ischemic stroke model. 10th World Stroke Congress. 6-Azedi, F., Joghataie, A. H., Taghi, M., Zarnani, Mousavizadeh, K., Kazemnejad, S. and Mehrpour, M. (2015). Reasons of contradictory outcomes in functional and structural recovery after stem cell transplantation in stroke. The 2th Iranian congress on progress in tissue engineering and regenerative. 7- Joghataei, M. T., Mousavizadeh, K. and Azedi, F. (2015). Cellular and Molecular Mechanisms of Spinal Cord Trauma. The Neuroscience Journal of Shefaye Khatam 2(4): 14-14. 8-Azedi, F., Kazemnejad, S., Zarnani, A. H., Behzadi, G., Vasei, M., Khanmohammadi, M., Khanjani, S., Edalatkhah, H. and Lakpour, N. (2014). Differentiation potential of menstrual blood- versus bone marrow-stem cells into glial-like cells. Cell Biol Int 38(5): 615-624. 9-Azedi, F., Kazemnejad, S., Behzadi, G., Zarnani, A. H., Akhondi, M. M. and Talebi, S. (2012). Evaluation of Developed Neurospheres from Human Menstrual Blood- versus Bone Marrow- Derived Stem Cells. 3rd International Conference on Stem Cells and Cancer. 10-Ardakani, Z. B., Momeniha, M. Z., Azedi, F., Kamali, K. and Akhondi, M. M. (2011). Specialists' Attitude toward Appropriate Number of Transferable Embryos in Assisted Reproductive Technology in Iran. J Reprod Infertil 12(4): 289-294.